When you are building a solid regimen for healthy hair it is important to understand that the system approach is the best approach. One particular product can give you results but to get maximum results, the system approach is recommended. Let’s explain further. Think of your favorite meal. Let’s say your favorite food is steak, you don’t usually order a steak alone because the meal will not be complete without your favorite toppings, sauces, salad, a baked potato, and all the extra things that you personally like. Let’s look at makeup. You can just wear one piece of makeup like lipstick or face powder and be ok but to have a complete look, you usually will use other things such as foundation, eyeliner, mascara, ect…. Not to compare proper hair care with food or makeup but we are just using this as a description that where we can commonly relate. Just like there are layers and degrees to the food you like, the same goes for hair care. Using a system of products will give you the best results especially if you are trying to achieve true healthy hair care. The question is often presented to NouriTress, “Can I just use one product to make my hair grow back. Some may ask, “Can the Follicle Therapy or Edge Repair Follicle Treatment Intensive Night Drops be used to regrow my edges?” The answer is yes, but to get the most desired results it would be best to invest in the Edge Repair Follicle Treatment Re-growth System that not only addresses the re-growth of the edges but also provides internal support and hair and scalp therapy. This system will build the hair strand first internally with our Hair Vitamins Plus , then next onto a topical scalp treatment in the form of Stimulating Scalp Shampoo and Vitamin Conditioner. Lastly, the Edge Repair Follicle Treatment Intensive Night Drops is designed to reduce scalp inflammation, prevent hair loss naturally and helps stimulate & nourish weak hair follicles that have been damaged due tight and damaging hair styling. NouriTress Perfect Hair products takes the system approach to healthy hair, because it addresses all of the underlining issues that need to be addressed and not just the one problem that is wanting to be solved. If you go to the doctor, he/she wouldn’t just write you a prescription for just the recommended medication, they would also recommend other things to do such as diet and exercise. Think of NouriTress as medicine for the hair. A system approach to healthy hair will give you lasting results for healthy hair. To learn more about NouriTress by visiting www.nouritress.com . I’m wearing my own hair are you? It’s more than just a question on NourTress’ apparel line…but a movement. A movement to start a conversation about hair. More importantly your hair. The Bible speaks about gray hair being a crown of glory in Proverbs 16:31. Speaking on the terms of your hair being a crown, a crown symbolizes honor and royalty. When you think of a queen (which is yourself ) immediately you think of her crown. So what is the condition of your crown? If you aren’t wearing your own hair why not? Protective styling when applied correctly can really aid in the growth and protection of the hair by giving it a break from the sometimes strain of daily styling. But when protective styling has been applied incorrectly the steps can be damaging and unfortunately sometimes irreversible. The foundation of NouriTress was set with the meaning of the name of NouriTress- Nourish your Tresses. Watch The NouriTress Story here. 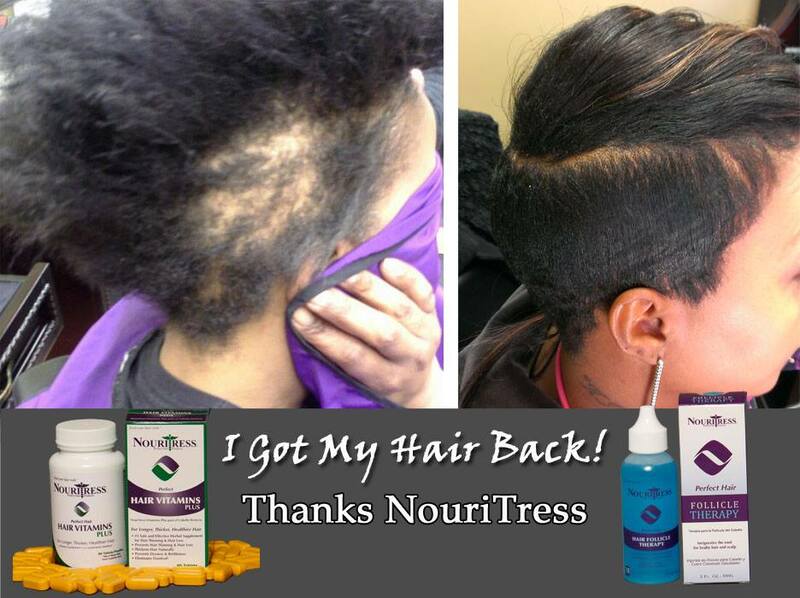 NouriTress was crafted to cater to the health, retention, and growth of the hair so when there are so many cases of thinning, improper installations that led to hair loss, improper product application that may over time caused the hair-line to be removed, and the list goes on NouriTress had to speak up. More than just a question “I’m wearing my own hair are you?” but a movement to invoke change. To provide education and products to combat the issues. To start a conversation to raise awareness to the ever-present issues that are impacting our community. 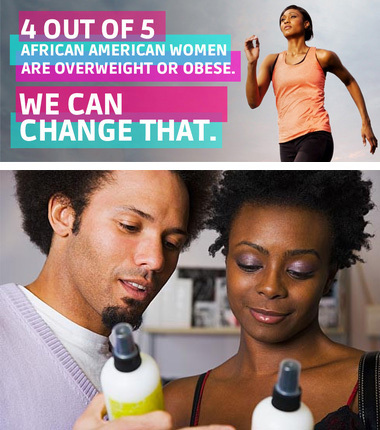 To be a voice and a platform of health and wellness that is catered to the nourishing the tresses of our community. It’s more than just the question “I’m wearing my own hair are you?”. It’s a question to impact change… this time for the better. Learn more about the NouriTress product line here or by going to http://www.nouritress.com. NouriTress Perfect Hair Vitamins Plus and products addresses all of the problems that women have when they come to the salon. 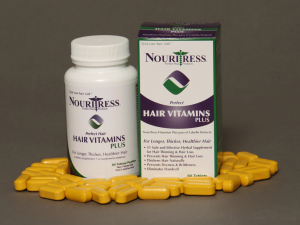 NouriTress Perfect Hair Vitamins Plus builds protein, volume & shine in the hair, builds root retention, prevents hair loss, controls dandruff and graying. 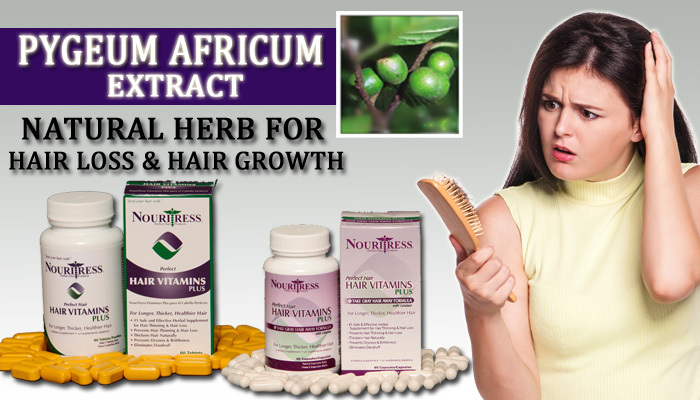 NouriTress Hair Vitamins will strengthen and speed up hair growth which will provide each person with gorgeous hair. Hair needs as much nutrition as the body. Packed with 100% of the recommended daily allowance (that’s RDA) of 12 essential vitamins, four vital minerals, two fundamental amino acids and herbs, NouriTress is the secret to complete and total hair maintenance. A water soluble compound, vitamin B consists of different variants that can be found in foods that are rich in proteins. Vitamin B can be found sin foods such as soy nuts, carrots, eggs and meat. Thus, most people can easily get vitamin B as it is found in foods in a regular diet. However, keep in mind, since the B vitamins are water-soluble, any excess of the vitamin is easily flushed out of the body. Eating food with vitamin B content will reduce hair loss and increase hair growth. Vitamin B refers to a group of eight vitamins which, although related, are clearly different. At one time the B vitamins were thought to be one. When it was discovered they were distinct, quite a number of compounds were once thought to belong to the family. Such compounds include carnitine, once Vitamin B20; para-aminobenzoic acid (PABA), once Vitamin B10; adenine, once Vitamin B4. The eight members of the B complex are B1 or thiamine, B2 or riboflavin, B3 or niacin, B5 or pantothenic acid, B6 or pyridoxine, B7 or biotin, B9 or folic acid, and B12 or Cobalamin. These B vitamins are all water-soluble, therefore, they are extensively distributed in the body and easily eliminated in the urine. Because of the later reason, most of them are safe even in large doses. However, there are cases of toxicities for Vitamin B6 and B3. The B vitamins are essential to many biochemical processes in the body including regulation of hormones, minerals and general metabolism. They are important to the nervous system and enhance the immune system; they help maintain healthy muscle tone, skin, nails and hair; they are needed for cell division and are known to reduce the risk of developing certain cancers (for example, pancreatic cancer). It is possible to develop a deficiency for each of the B vitamins. This happens when they are not adequately supplied in the diet or when their absorptions are hindered. A deficiency of Vitamin B1 results in beriberi; without Vitamin B2 a number of symptoms including dry skin, inflammation of mucosal membranes and dermatitis results; Vitamin B3 deficiency presents as pellagra, dermatitis and mental confusion. Vitamin B5 deficiency is uncommon but when it occurs, it results in acne, itching, tingling skin and loss of sensation in the fingers and toes; Vitamin B6 deficiency results in anemia, hypertension and dermatitis; Vitamin B7 deficiency is rarely seen in adults but in children it can impair growth and cause nerve damage. Both Vitamin B9 and B12 deficiencies result in anemia and elevated homocysteine levels. They may also lead to neurological damages. Dietary sources of B vitamins include plants and animals. The only exception is Vitamin B12 which is only present in animal products. Meat including fish, meat products and animal liver are good sources of the B vitamins. They can also be found in large quantities in molasses, yeast, beans, whole grains, chili pepper, bananas and potatoes. While there are supplements of B vitamins formulated singly, with other B vitamins as Vitamin B complex and with other vitamins as multivitamin preparations, unwarranted Vitamin B supplementation should be avoided. This is because after absorbing what it can use, the body simply eliminates any excess Vitamin B. Vitamin B supplements are especially recommended for the aged and those undergoing stressful activities. Vitamin B9 is a solid recommendation for pregnant women since a deficiency in the vitamin especially early in the embryo development can lead to birth defects. B vitamin supplements should be considered in the treatment of hair loss especially when the alopecia is due to vitamin deficiency. For balding people who smoke or drink considerably, this is most likely the cause of their hair loss. Still, other people experiencing thinning hair should consult their doctors to know if they are deficient in any of the B vitamins. Considering the number of biochemical processes dependent on the B vitamins, it is clear that Vitamin B supplements can promote hair growth and stop hair loss. They especially nourish cells of the hair follicles. Some of the B vitamins known to help reverse hair loss include Vitamin B3, B5, B6 and B12. Similarly, deficiencies in Vitamin B1, B2, B3 and B5 cause hair loss which can be stopped with adequate supplementation. In treating hair loss, the B vitamins deliver great results when they are paired with Zinc. Together, zinc and the B vitamins may inhibit the production of dihydrotestosterone (DHT). DHT is synthesized from testosterone and is regarded as the main cause of androgen-dependent alopecia. It causes the rapid decline of hair follicle cells both in number and activity. Therefore, immediate supplementation with B vitamins is needed to quickly reverse hair loss due to DHT. The fact of the matter is that, a healthy diet leads to better overall health and the better their eyes, skin, nails and hair will be. Some hair loss issues are the result of issues well beyond a healthy diet, but getting the vitamins and nutrients needed may still be able to help lessen the amount of hair lost and increase the overall appearance of the hair. Still, there are some things to keep in mind in about vitamin B and hair loss. It is fairly common for women who are suffering from hair loss to have a B-12 deficiency. It is important to have appropriate levels of B-12 in the body as well as making sure to get a good balance of foods such as eggs and meat can help the body to get the right amount of B-12 without having to take supplements. Increasing your levels of B-12 are a good way to try to slow down the hair loss process and stimulate growth. B vitamins are so crucial to potential hair regrowth that these vitamins are very often prescribed in addition to other hair loss treatments. Hair loss products that contain Minoxidil, such asRogaine, or other products like Propecia are often paired up with B vitamins to improve the ability and chances for regrowth. Aside from oral methods of getting vitamin B for hair loss, there are also products such as shampoos and conditioners that now use this as an ingredient. Klorane Strengthening Shampoo with Quinine & Vitamin B is a popular example of this. Vitamin B along with folic acid folic acid is also known to regenerate the cells that grow hair. In addition to causing growth, vitamin B helps improve the health and strength of follicles to prevent hair loss. While vitamin B may assist prescribed hair loss treatments, it also helps with other natural treatments. Biotin for hair loss which has quickly become one of the most widely used hair loss supplements on the market today is derived from vitamin B in combination with vitamin H. This supplement has actually been proven to aid in helping to prevent hair loss which explains its popularity. Vitamin B-3 aids in healthier blood flow to even to root of the hair. B-5 is believed to help stimulate hair growth to replace lost hair. A deficiency in this vitamin could make it more challenging for your hair regrowth to continue. NouriTress Perfect Hair Vitamins Plus was developed for women desiring longer, stronger, faster growing healthier hair. Packed with vitamins, minerals, amino acids and essential nutrients, NouriTress Perfect Hair Vitamins Plus provide the ultimate complement to external hair care. NouriTress is different from other hair vitamins because of its specially formulated salon formula that gives each client full luxurious, healthier hair that begins on the inside. Vitamin E is an essential nutrient that helps in keeping the heart and skin healthy. But more than this, vitamin E proves to be beneficial to hair health as well. Although scientists and medical experts alike cannot exactly determine how vitamin E aids in keeping the hair healthy, they believe that it produces the same exact mechanism that it does for keeping the heart healthy. It has been proven to show positive effects to hair such as prevention of hair loss and promoting hair growth by enabling growth of the capillaries.There are countless benefits that vitamin E can provide for the body including healthy hair growth. Regular intake of this vitamin can prove to be beneficial and its effects can be seen in just a matter of weeks. This supplement can also be applied to skin or scalp topically to further enhance and accelerate the appearance. The quality and texture of the hair can be improved when it is regularly applied with vitamin E oil. Vitamin E is a great stimulant for growth of capillaries, when the capillaries are healthy and profuse, the blood circulation in the scalp will be enhanced which will therefore promote strong and healthy growth of hair. Vitamin E contains effective and potent antioxidants that inhibit good health of our body tissues, when our body tissues are strong and healthy, our aging process slows down as well. Therefore, aging signs that may appear in our skin and hair will slow down as well. With regular intake of vitamin D, you will notice that not only will the skin look younger, but premature graying of the hair will be prevented as well. Because vitamin D oil can be used topically, it can directly condition the hair making it more lustrous, shinier and stronger than it was before. This vitamin oil can also be combined with commercially manufactured conditioner and then massaged on to the scalp to further make the hair soft and smooth. A lot of women often complain about having split ends, and this is understandable as its appearance can really make hair look dull, dry and lifeless. This can be caused by constant use of hot hair tools without using proper protection on the hair or by regular dyeing of the hair. In order to restore the hair’s health, hair experts advise to treat it with the combined mixture of equal amounts of coconut, olive, jojoba and hemp oils to make 12 ounces. Mix in two oz. vitamin E oil into the mixture and apply to the roots up to the tips of the hair. There are a lot of ways in which you can get your daily supply of Vitamin E, whether it is from oral supplements or from the food you eat, there really is no shortage when it comes to this vitamin’s supply. Here, you will find the different sources in which you can get your daily supply for this wonder vitamin. Green leafy vegetables such as spinach, kale, Swiss chards, mustard greens and collards. Almonds are also a great source for vitamin E and not to mention that they also serve as great snacks to keep a fit and healthy body. Fruits such as papaya and kiwi also offer a good amount of vitamin E. Avocado does not only contain healthy fats that can promote good health, but they are also packed with vitamin E.
There are now a lot of supplements for vitamin E that can be bought over the counter, but before doing so, it is still better to be aware of the proper dosing to avoid any complications. Vitamin E thins the blood as it promotes good circulation, over dosing on it may result in blood clotting issues. The recommended daily allowance for vitamin E is 15 to 19mg per day or 22.5 to 28.5 I.U. per day. This allowance depends on the age of the person and gender so before taking in vitamin E as a daily supplement, make sure to consult with your doctor first. Vitamin E can also be applied directly to the hair and scalp simply by getting your Vitamin E capsule, puncturing it to create an opening and then applying its contents directly to the scalp. Because this is considered to be a natural oil, you can leave this on the hair for a whole day until it is washed, or rinsed after a few hours of leaving it in if you feel like it makes the scalp oily. There are now an abundance of commercial products available in the market which promote good hair health and are loaded with vitamin E. Regular use of these products can make the hair appear shinier, brighter and healthier in just a matter of a few weeks’ use. Aside from better appearance, daily use of these products can also make the hair growth faster. Hair Loss In The African American Community, Is It An Epidemic? Studies show that over 30 million women in the country are experiencing hair loss, with 70% of that 30 million being African American Women. You may wonder what is going on, why is this happening? There are several causes of hair loss and hair thinning, but one of the biggest causes in the African American community is mechanical damage. What is mechanical damage? Many black women and some black men braid their hair or wear hair weaves, and under normal conditions these cause no problems. However if the weave is attached too tight or the braids are wrapped too tight, they put a constant strain on the hair follicle. If this is done for an extended period of time permanent hair loss can result. This is known as traction alopecia and is fairly common among people who braid or weave their hair. You should always make sure the person applying the braids or weave is qualified to do so and don’t wear braids or weave continuously for extended periods of time. Many people change the appearance of their hair by using chemical treatments like hair color, tints, bleaches, straighteners, relaxers and permanent waves. If correctly done and done using reputable products, its rare to have any damage. However, hair can become weak and break if any of these chemicals are done too often. Hair can break if the solution is left on too long, if two procedures are done on the same day, or if bleach is applied to previously bleached hair. Some chemical relaxers do contain powerful chemicals and there have been instances of people getting chemical burns from these products resulting in permanent hair loss. Only go to qualified hairstylist and if doing it yourself make sure you only use reputable products and follow the product directions. There are other factors that can cause hair loss but we wanted to focus on mechanical damage because so many African American women are wearing hair weaves and braids now and hair loss is becoming an epidemic in the African American community. NouriTress Perfect Hair Products was developed to address these issues and we have been helping women grow and wear their own hair since 1998 with over 4,000,000,000 vitamins sold worldwide. Our Follicle Therapy which is pictured above invigorates the root to promote hair growth as well as unblock clogged hair follicles that cause hair loss and it is great for all types of hair! Visit our website http://www.nouritress.com for information on our many products that that help fight hair thinning and hair loss. Have a healthy hair day! The African cherry tree, pygeum africanum, is an evergreen found at higher elevations across Africa and it’s been used for medicinal purposes since the 1700s. When used in combination with Saw Palmetto, this duo has been shown to drastically reduce levels of DHT which is a major cause of hair loss. The extract from Pygeum bark is used in herbal medications to relieve symptoms caused by benign prostatic hyperplasia (BPH), or prostate enlargement. Although the mechanism of its action is unknown, it is assumed that Pygeum could inhibit the conversion of testosterone to dihydrotestosterone (DHT). DHT is the main cause of BPH and is also believed to be the primary factor responsible for male and female pattern baldness. In one clinical study, the effects of Pygeum africanum on BPH were examined in conjunction with nettle root extract (another DHT blocking agent) and it was concluded that combining these two herbs increased their effectiveness. Pygeum bark has been used in herbal medicine in Europe since the 1700s. Traditionally, the bark of the tree was gathered and powdered and made into a tea which was taken for genito-urinary complaints. Pygeum has also shown promise in preventing or reducing the symptoms of prostate cancer and chronic prostatis. Some additional traditional uses of Pygeum include use as an aphrodisiac, and as a remedy for fever, impotence, kidney disease, malaria, partial bladder outlet obstruction, urinary tract infections, inflammation, malaria, prostatic adenoma, and psychosis.